Mumbai, April 7 (Express Tribune):Many , many years ago, Bollywood superstar Salman Khan and former Miss World Aishwarya Rai Bachchan used to be in a committed relationship. While they looked great together and certainly lit up the screen in Hum Dil De Chuke Sanam, they hit a rough patch and called it quits some time after, thereby sparking a huge controversy, reported Pinkvilla. In 2002, the newly-single Aishwarya spoke to a leading news publication of her bitter breakup with Salman, revealing that the latter was unable to come up to terms with it. “He would call me and talk rubbish. He also suspected that I was having affairs with my co-stars. There were times when Salman got physical with me, luckily without leaving any marks and I would go to work as if nothing happened,” shared the now 44-year-old actor. In another interview, Aishwarya gave details on how Salman had physically abused her, saying that despite all the emotional and verbal torture, she stood by him during his worst phases and endured his alcoholic misdemeanors. TheGuruactor also mentioned that Salman confessed to cheating on her. “That is why, like any other self-respecting woman, I ended my relationship with him,” quoted theDevdasstar. Then, a couple of months after Aishwarya’s interview, Salman responded to the allegations. “I have never beaten her. I get emotional and hurt myself. I have banged my head against the wall but I cannot hurt anyone else,” he stated. 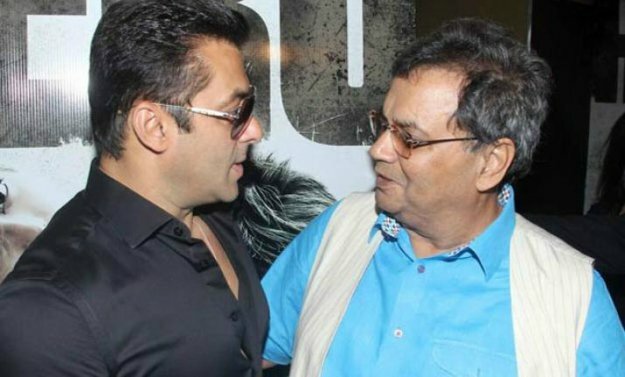 Salman Khan and Subhash Ghai.